I feel like I’ve had spots, scars, and acne-induced post-inflammatory hyperpigmentation (PIH) on my face ever since I was born. Now that my acne is a bit more under control, meaning I don’t get as much new PIH as I used to, I figured now is a good time to try something new to even out my skin tone. I’d also love to clear away some of these little freckles from almost two decades spent under that darn Hawaiian sun…Although let’s be honest, that’s probably from the three months I spent in Thailand with zero sun protection. But anyway, I didn’t want to undo all of my hard work in acne treatment by introducing a harsh new active like an AHA! Plus, my skin has been on the dehydrated side lately. What do? This product was provided by Wishtrend for review. All content on A River Lily reflects my honest opinion. This post contains some affiliate links. Check out my Policies and Transparency page for more info. Huh? So what’s the issue here? More “stable, [sic] formulations of L-AA” include sodium ascorbyl phosphate (SAP) and magnesium ascorbyl phosphate (MAP) (thanks to my SO for helping me with the chemistry research). SAP and MAP have seen increased use in skincare products, but L-AA, vitamin C’s “purest” form, is almost always more effective than its stabilized forms when used in similar amounts and methods. Plus, L-ascorbic acid “must be formulated at pH levels less than 3.5 to enter the skin,” and the maximum concentration for best absorption is 20%. This is where I realize I need to get some damn pH testing strips. In the meantime, I’ll defer to Snow White and the Asian Pear to best explain the importance of pH! pH level comes into play in multiple steps of your routine, from cleansing to toning. Some further reading on vitamin C in the cosmetics/skincare world: Vitamin C formulations, SAP info, Safety report (PubMed). And this is why I’m initially wary of yet overall curious about L-AA-based vitamin C serums. Also, Klairs Freshly Juiced Vitamin Drop uses 5% L-AA, probably the smallest amount I’ve seen thus far in serums that feature vitamin C. Let’s see how it does. “minor tingling may be experienced” if you’re a vitamin C virgin, apparently. It doesn’t specify evening skin tone, though it’s a pretty standard by-effect among vitamin C serums in my observation. Only one ingredient bolded. Not too shabby. But again, it’s not recommended to rely on Cosdna too much, as YMMV! “…My results are kind of wonky because two of the boxes turned colors that put them in completely different ranges–one box appeared to test almost at 7, the other closer to 5, and this happened two times. Maybe something weird is going on with my serum, or maybe the oiliness of the product is skewing results? In any case, it’s not in a pH range where it’s going to be exfoliating. Seriously, thanks for SOS (saving our skins). If you’re out there, let me know so I can, uhh, send more snail slime and bee spit in your direction! Anyway, because we’ve established this isn’t an “active,” I use this right after putting on Dr. Jart+ Ceramidin Liquid during my PM routine. You can also use this in the morning, especially because of vitamin C’s photoprotective qualities. I started using this at the end of November and took my “after” photos about five weeks later. You usually won’t see an effect with the naked eye until 4-8 weeks of use. I like to put about 3-4 drops on my face to start: forehead, nose, and each cheek. The box suggests half a dropper full for normal to combination/oily skin, but I find that using more than 3-4 drops is a bit much (and I’ll tell you why in a minute). The serum goes on smoothly, and it even warms up as I rub and pat it all over my face. It isn’t uncomfortable, but it might be slightly alarming if you aren’t expecting it. It’s all good. It’s fine. You’re not dying. The opalescent, cleanly-designed packaging is lovely, aside from the clear bottle; vitamin C serums are usually best stored in darker bottles like amber, because of the aforementioned oxidation issue. I always put this serum in the box after using it and I noticed absolutely no discoloration after a couple of months. And as mentioned above, Klairs claims discoloration would not signify a decreased effectiveness anyway. 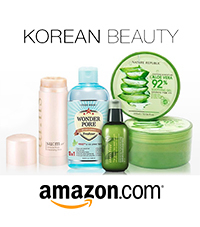 Now, I say I try not to use too much because while it is smooth, it also feels quite oily. It may be uncomfortable especially if you’re oily-skinned like me. However, my skin actually turns oily-dehydrated occasionally—like during the cooler, slightly-less-humid “winter” I’m experiencing now!—and my skin feels fine the next morning after using this serum. It does feel somewhat hydrating, actually. If you’re like me and like to minimize your wait times, you can blot with a face towel or tissue if there’s still some residue. The box actually suggests adding a few drops of this in a “serum or lotion” especially if you have sensitive skin. I recommend that too, as it can also eliminate a whole step from your routine. Charlotte Cho does it, so if you won’t listen to me, then listen to her. Alright, alright. Did it help with my PIH? I’m sure you want the results. Well, you got ’em! I’m not sure why I also drew arrows to alert you to the circles, which are already alerting you. Yeah, ignore that self-inflicted PIH. Did it work? I think so. My skin looks slightly brighter, and those PIH spots are fading more quickly than usual! Like I explained earlier, I had my doubts with low-percentage vitamin C serum. I suppose because this has L-AA, albeit a much smaller percentage of 5%, this is still more effective than SAP- or MAP-based serums (I have yet to have a worthwhile experience with those). Very interesting (anecdotal) discovery! I imagine this PIH would be almost totally gone within a total of 3 months, which is actually the shelf life of this and most other vitamin C serums. Like everything you usually see everyday, I didn’t notice the PIH very gradually fading as I checked them daily. But this is where I truly discovered the importance of taking “before” and “after” shots, because those are where you can see that change is actually happening. Not much to speak of. There’s a somewhat herbal-ointment-ish scent, but it isn’t strong and doesn’t irritate me. However, it did initially make me tear up a little when the serum got too close to my eyes. So just don’t do that. It’s available on Wishtrend for USD$23, currently offering free shipping! Also on Sokoglam for the same price, with free shipping on orders of $50+. It worked! It didn’t play as nicely with the rest of my routine as I wish it did, but the bottom line is: it worked. My main issue with Klairs Freshly Juiced Vitamin Drop is how oily it can feel if you use more than, say, 3-4 drops. That is, unless you decide to mix it in with another serum or lotion as suggested. However, despite having only 5% L-ascorbic acid, it clearly works the way it’s intended. It’s not quite maximum-strength, but it really doesn’t mean to be. And that’s totally fine. 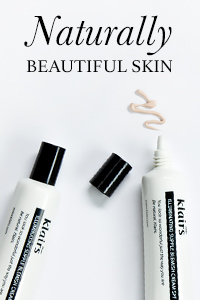 Everyone certainly reacts differently, and it seems Klairs has successfully formulated a product that is friendly for sensitive-skinned folks while maintaining efficiency. This should work for all skin types, but its place in your routine can vary depending on your skin type. Normal to combination/oily folks may be more comfortable using it in cooler/drier seasons, or mixed in with another skincare product rather than by itself. For my own personal skin type and skincare goals, I am still willing to check out other, tougher vitamin C serums, but I’m quite happy to use up this entire bottle if I can. You know what? I did a proper photoshoot with these freakin’ mandarins. You’re damn right I’m gonna include these sensual, borderline boudoir shots. Have you ever tried C20 serum? which one is better out of the two? I’m actually currently using C20! It’s hard to say which one is ultimately “better” than the other because it really depends on your skin and personal skincare goals. C20 has been much more effective for clearing up hyperpigmentation, which I personally prefer because that’s my current skin goal, but the Klairs serum is much gentler (no wait time because it’s not “active”) and has more moisturizing properties. Klairs is generally better for drier skin, too, although its skintone-evening ability isn’t as pronounced. I hope this helps! Great review, I’ve been seeing mixed feedback on this product, finding a well formulated vitamin c serum is hard and to find one that is cheap and gives amazing results is rare, I’ve seen many vitamin c serum which amazing reviews on Amazon but still very hesitant about it. Hi! Thank you so much for the review! 85 was very informative 🙂 I enjoyed how in depth you got and those result pictures are amazing! I’m happy for you!! This product has been hovering in my shopping cart for awhile, so I’ve been reading a toooooon of reviews lately. ;-; Hahaha In your opinion, could teenagers use this product? Haha I know the pain of waiting a looong time to buy something. It definitely depends on how sensitive your skin is, but I found this to be very gentle and think it would be suitable for any skin type or age (above 12 years old or so, that is). Klairs is also generally a very sensitive-skin-friendly brand, so if this is something that fits in your budget, then it is worth a shot. 🙂 I hope this helps! If you end up getting this serum, please let me know how it goes! I would love to hear different perspectives and experiences of this product! This did nothing to me in terms of visible changes / improvement, but, I understand it to be more about long-term maintenance and prevention. However, given the fact that I own other, more effective Vitamin C products (OST and The Ordinary Vit C Suspension), I don’t really conaider this worth the money any more: However, for a very sensitive skin, this may be an excellent way to get used to this ‘magical ingredient’ before upgrading to more potent formulas. Fair point. Vitamin C in skincare has been improved so much in the past few years, I’d definitely go for other formulas (like Drunk Elephant’s, etc.) if you have the means! Thank you for the review! I bought this specifically for my skin to get used to the low % first. Do you however know how I would incorporate this with my lotion like Charlotte Cho said? Does she mean add it to lotion and use it where you would use the lotion in your routine…As I understand Klairs should normally go after cleansed skin or so. I guess I haven’t seen too much of anything with this product yet. I should probably try it morning and night and give it another try. Hey! Thanks for this informative post! I’ve used up an entire bottle of this vitamin c serum and repurchased another one but only now found out that it isn’t an active and the pH is not in the usual vitamin c pH range. I’m about to incorporate BHA (cosrx BHA power liquid) into my routine and now I’m confused where I should use this vitamin c… As it is not an active would it then mean that I should use it in the usual serum stage of my routine instead of right after cleansing and pH adjusting my skin , and the BHA in that place instead? Really hope you read this and reply! Thanks! Hi Tania! Yes, I do wait for a couple of reasons: (1) To let the serum “sink in” to my skin and work uninterrupted, and (2) to let the product fully dry before applying the next product. Hope this helps! hye..thank u so much for your review.. for your opinion is it okay to use this daily during am and pm routine? do u think that’s too much? It depends on how oily or dry your skin tends to be. 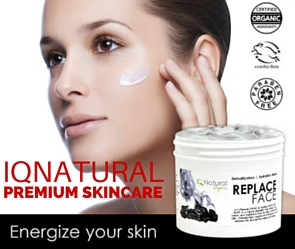 If your skin is dry, it is worth trying in the morning (you won’t truly know if it works for you until you try it!). However, the texture may be off-putting because it does have a slightly oily feel–I wouldn’t recommend this in the morning if you use all-over face makeup such as foundation. Evening-only use is still effective, though!